EXHIBIT: Devastating natural disasters seem to be all around us lately, with destructive earthquakes in Haiti & Chile and the recent floods in the Philippines. 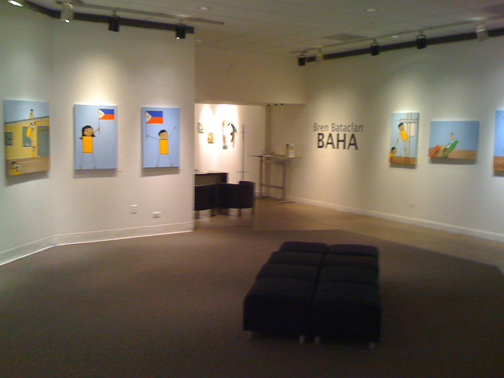 This new, more figurative and narrative series of work, "Baha," portrays the heroism, resilience and compassion of the Filipino people during this seemingly insurmountable ordeal. 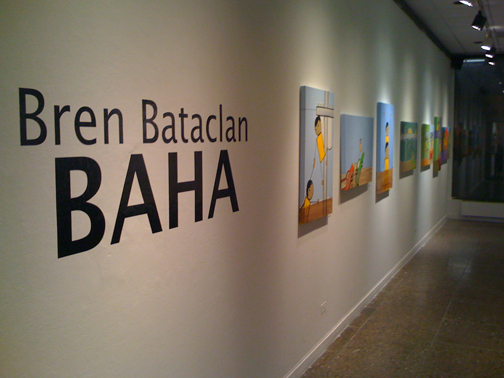 "Baha" is Bren’s most extensive and, quite possibly, his most important show to date. 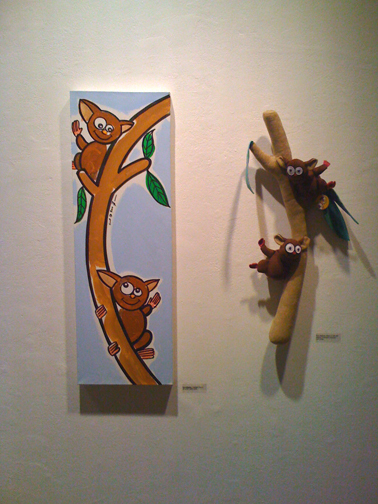 The exhibit will also feature Bren’s regular, whimsical characters, along with some new ones. And his plush toys will also premiere at the opening. Portions of the sales will go to the Philippine flood victims and those affected by the earthquakes of Haiti and Chile. 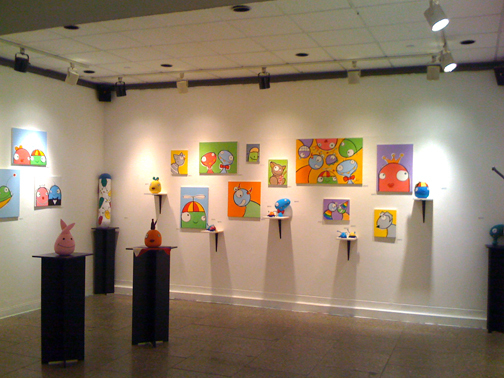 The exhibit at the UMass Harbor Art Gallery (100 Morrissey Blvd, Boston, MA 02125) runs from March 3rd to April 2nd, 2010. 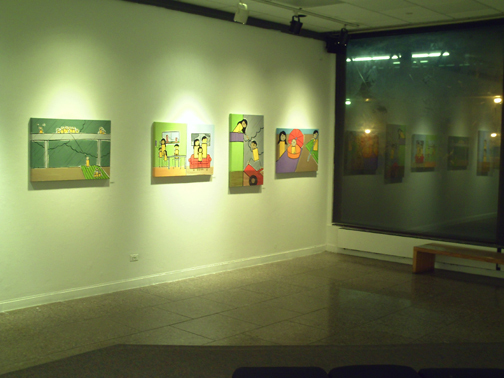 And the opening is on March 11th from 5 PM to 8 PM. Baha was curated by Steven Pirrello.